Fingal Beach of a Sunday morning where Port Stephens Nippers are out learning safe water skills. Photo by Marian Sampson. THE holidays are almost upon us and it is time to start thinking about what to do over the break, how and where to celebrate with family and friends, and perhaps, even to think about what experiences your loved ones would like you to sneak into Santa’s stockings for everyone’s holiday enjoyment. While Port Stephens is famous for its 26 beaches, there’s more here, than just sun, surf and sand. There are plenty of great parks with BBQ’s which are perfect spots for family and friends to enjoy the summer. Consider taking a stroll down the river and through the history of Raymond Terrace, enjoy the architecture of the buildings, including the old Rectory and St John’s Anglican Church, circa 1862. Pop into the Hunter Botanic Gardens and enjoy the tranquil space, it’s perfect for a picnic and has some beautiful gardens to explore. Stop on your way to the Bay, Murrays Brewery will not only please parents palates with the new smokehouse BBQ, but also offers great fun for the kids with the Pirate Pete App and weekend kids activities with large open spaces, perfect for entertaining young ones while you enjoy the craft beer, wine and spirits. Enjoy the great restaurant and dining options, sit back on the outdoor terrace at d’Albora Marinas at Nelson Bay and enjoy a sumptuous meal at the Rock Lobster Restaurant as you watch the boats on the Bay. If you haven’t already bagged the perfect gift for the ladies in your life you can’t go past pampering her with a massage, or even a series of classes at the Wellness Centre, choose from health services, life coaching, yoga, saunas and aromatherapy perfect for him or her. Or book into Bay Beauty for a massage or a pedicure for perfect summer feet. If you are looking for something cultural to occupy some time, consider wandering through the Port Stephens Community Arts Centre at Fly Point, checking out Sketchley Museum and watching a blacksmith demonstration while taking in some local history at Raymond Terrace, or visit the sculpture collection at Soldiers Point Marina. 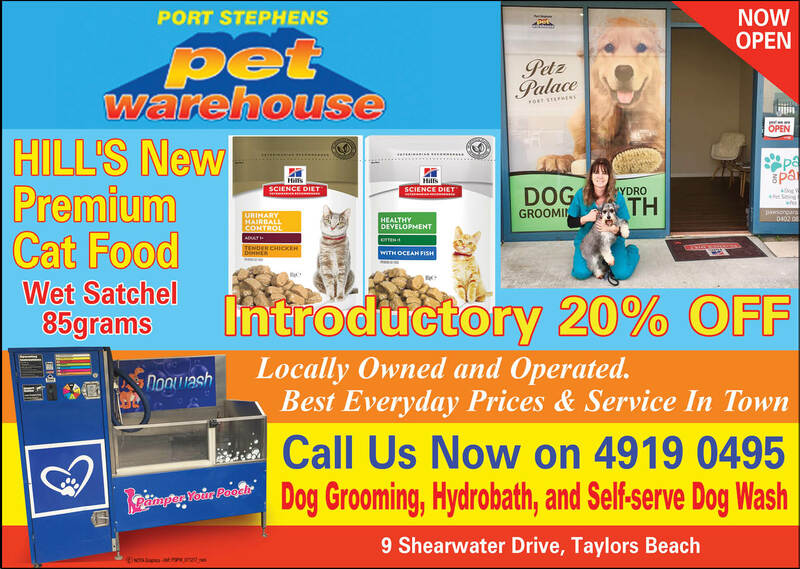 It is also that time of the year when we need to make sure our pets are well looked after, summer sees an increase in fleas and ticks, Port Stephens Pet Warehouse has everything you need to make sure your furry friends have good protection, and while you’re there you can pick up some Christmas treats for those extra special family members with feathers, fur or fins! If you haven’t started or finished your Christmas shopping, pick up the phone and order gift vouchers from the Wellness Centre, Bay Beauty or Shades of Beauty and Rock Lobster Restaurant they will be truly welcome Christmas gifts. When you’ve finished your Christmas shopping and indulging in the fabulous food and drinks, explored the culture and history of Port Stephens, and are ready to head for the beach, please remember that Surf Life Saving recommends that you only swim between the flags. 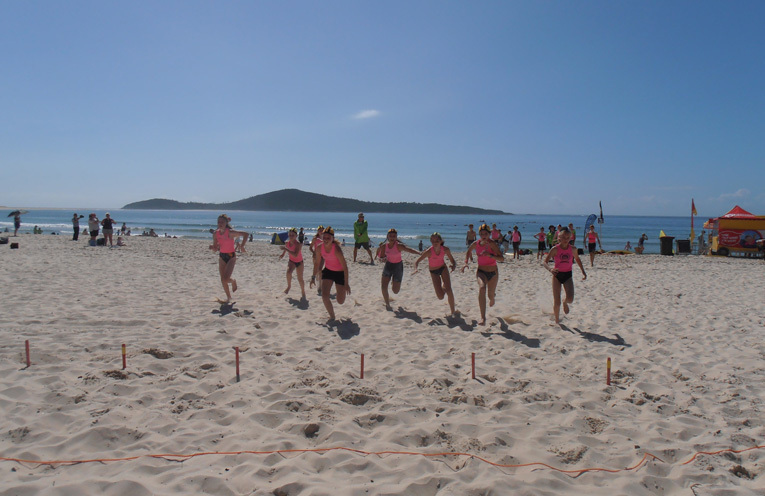 Fingal Beach, Birubi Beach and One Mile Beach are Port Stephens patrolled beaches with lifeguard facilities.